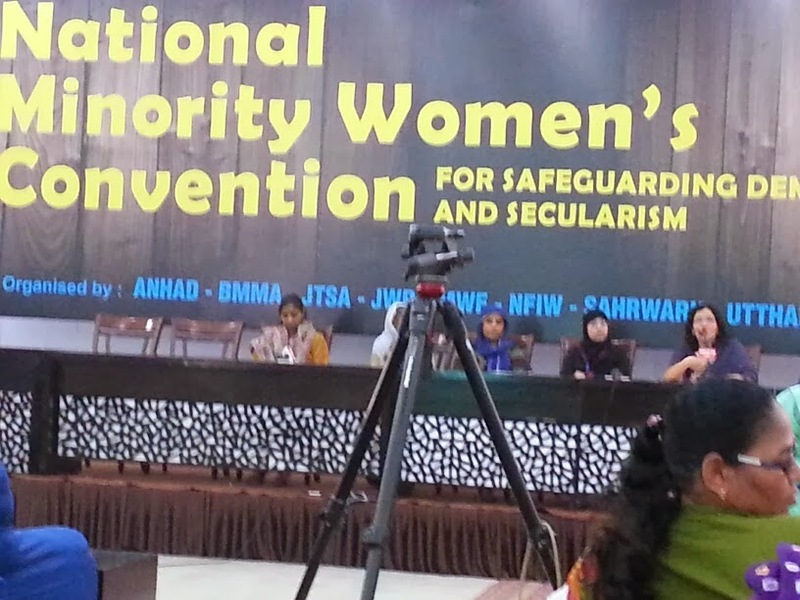 BMMA, Anhad and other women’s organisations belonging to the minority community organised a massive convention at the Constitution Club, New Delhi to give a call to safeguard democracy and secularism and to defeat the communal forces which are bent on destroying the social fabric of the country. 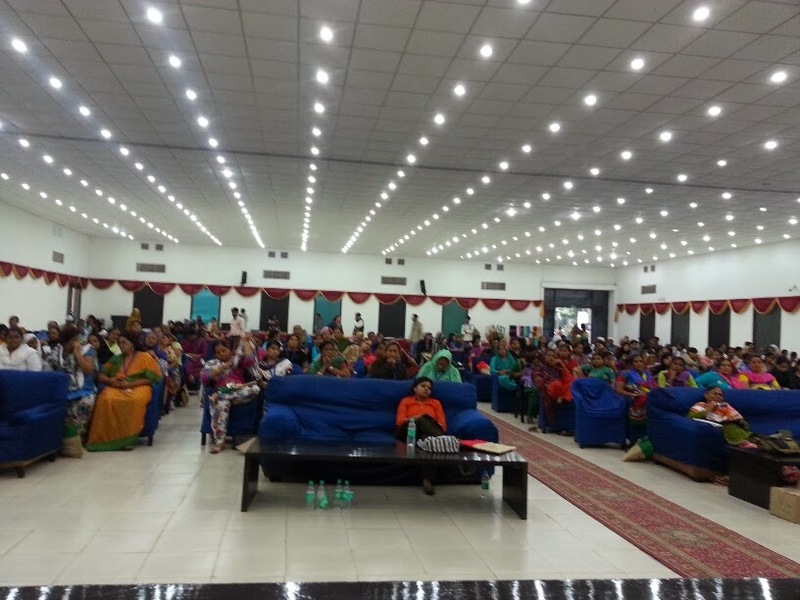 Close to a 1000 women from across the country gathered together. The survivors of communal violence from Ahmedabad and Kalol in Gujrat, Kandhamal in Odisha, Dhule in Maharashtra, Muzaffarnagar in UP, Forbesganj in Bihar, Gopalgarh in MP, narrated their stories of violence and survival and the complete complicity of state in allowing the state machinery to be used to kill and shatter the lives of the people from the minority community. 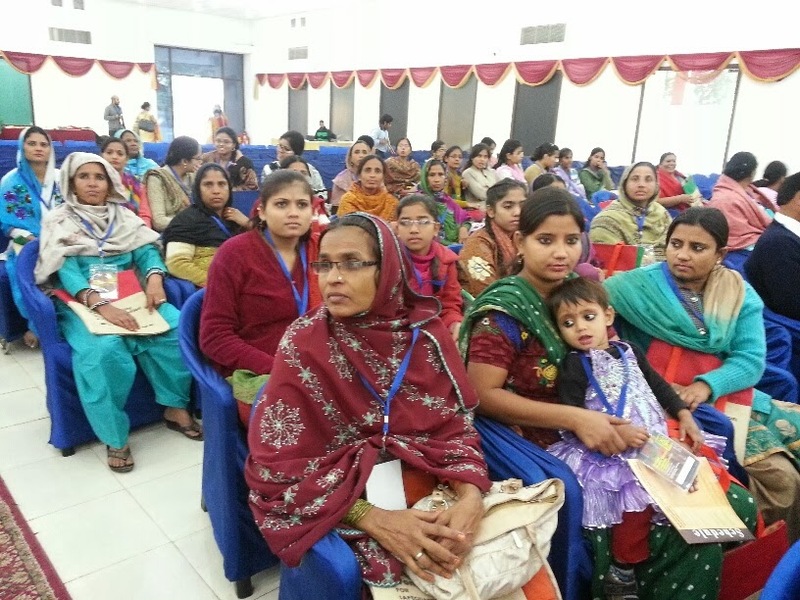 Bilkis banu from Gujrat and Musarrat, sister of Ishrat Jahan narrated their harrowing experience of how they and their families were brutally targeted. Eminent activists and speakers like Zakia Soman, Seema Mustafa, Dr. Saeeda Hameed, Bader Saeed, Cynthia Stephen and many others demanded that growth of fascist forces must be curtailed. 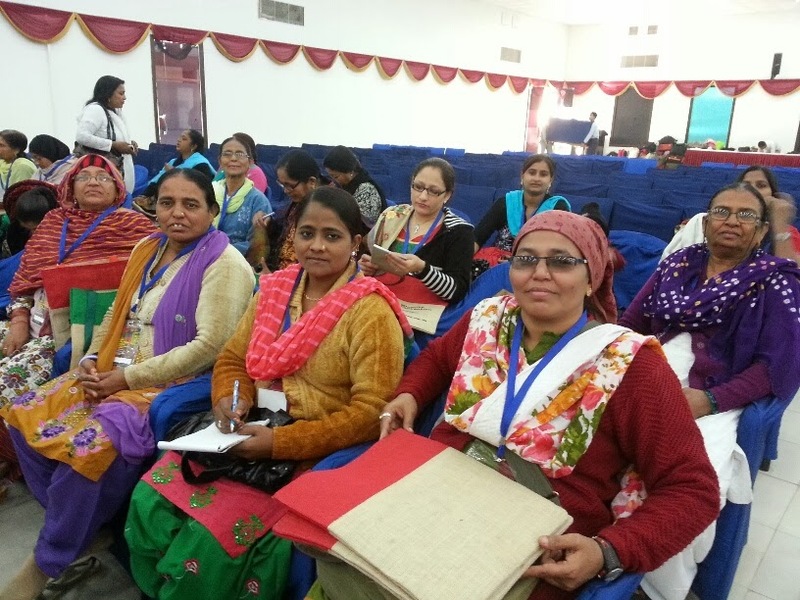 Women from the minority community who have been the victims of the hatred spread by right wing forces, gave a call to defend democratic values, social justice, rule of law and secularism as enshrined in the Constitution of the country. These values itself are at stake. Muslim women professionals like Arfa Khanum, Albeena Shakeel, Samina Mishra and many others spoke about their experiences as Muslim women professionals who broke stereotypes and made a place for themselves despite many odds. Finally the brave Muslim women activists at the grassroots shared the challenges they face when they work as foot soldiers in the defense of democracy within and outside their own community. They gave a bold call to defeat forces of hatred. They also demanded that the community must also inculcate democratic values within itself and allow the vulnerable sections within the community to speak up about their own issues. Noted amongst these leading activists were Noorjehan Dewan, Safia Akhtar, Naseem Shaikh, Maqsooda Shaikh, Jamila Pathan and Dr. Noorjehan Safia Niaz.